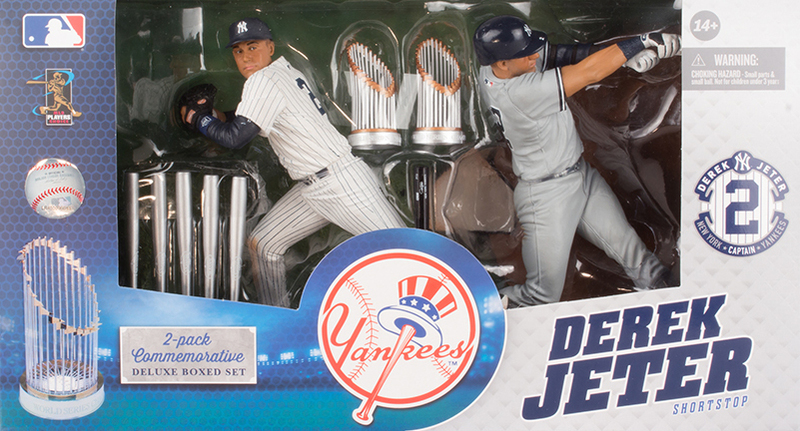 The 2014 McFarlane MLB Derek Jeter Commemorative Figure Two-Pack sends the Yankee great into retirement with style. One of the figures has the shortstop in his trademark pinstripes looking to make a throw across the Yankee Stadium infield to first base. The second is Jeter's first McFarlane figure to have him in his grey uniform. This time he's got a bat and taking a cut. 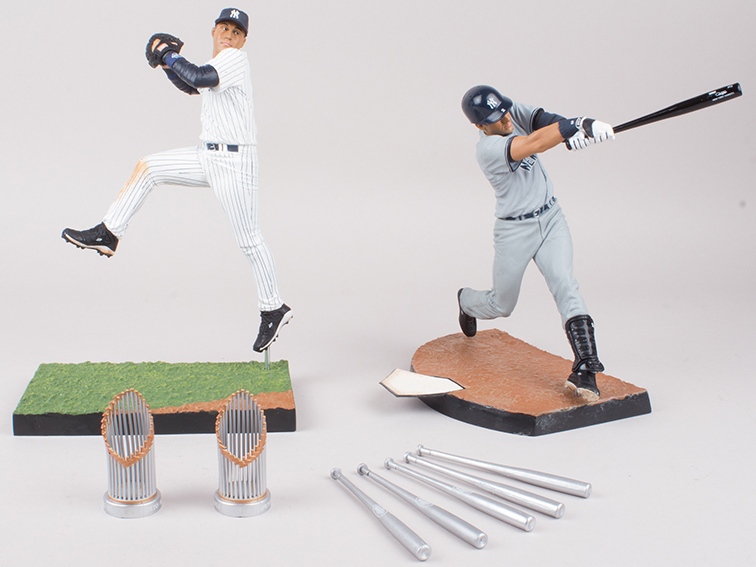 Packaged with the two figures are replicas of some of the hardware Jeter has amassed over the years: five World Series trophies and five Silver Slugger bats. Like all figures in the Sports Picks line, both pieces are detailed. The likenesses to Jeter are unmistakable. While one could play with them, they're probably more appropriate as display pieces. The 2014 McFarlane MLB Derek Jeter Commemorative Figure Two-Pack comes in a display box that includes the special logo designed for the future Hall of Famer's retirement tour. Not including variants and special releases, Derek Jeter has six McFarlane figures prior to this release.